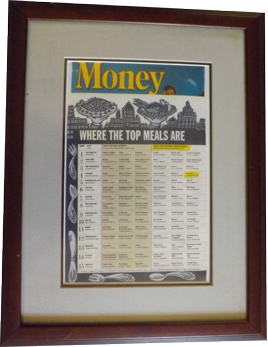 "Chef John Terczak and Gordon Sinclair plan new menus every day, with certain favorite dishes remaining constant." "John Terczak of the restaurant Gordon, is one of four young Chicago chefs who accepted our challenge to elevate American cuisine by redesigning old dishes" - "Voila (or lookee here), my mother's cheesecake." 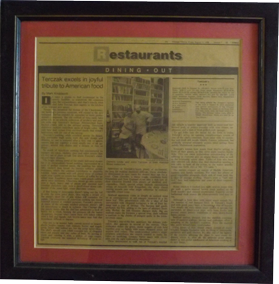 "Restaurants - Taste of What's New From Seasoned Pros" - "Owner Gordon Sinclair and Chef John Terczak in Lexander. 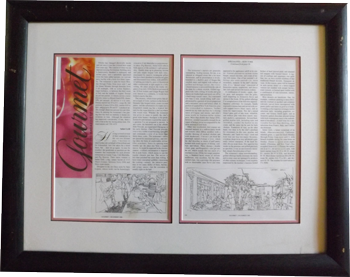 - a 60 seat, two story vision of a roman villa." 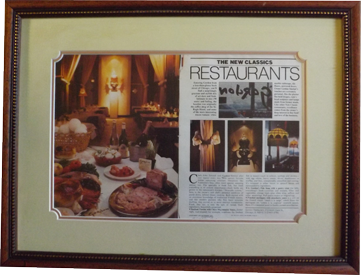 "Lose your heart to the king of tarts" - "The $250 Gran Flan, created by Executive Chef John Terczak, will be prepared to order for birthday parties and other special events..." - "Terczak sees other possibilities for the 2 1/2 x 3 1/2 foot custom-made oven in which the dessert is baked. A giant quiche could be next, he says, but only for real men." 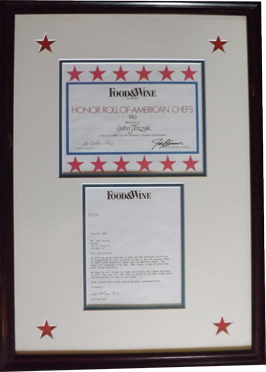 "A tale of two success brothers who must split culinary company" - "For the last eight years, Chicago has been lucky enough to have a culinary phenomenon - brothers John & Dennis Terczak." 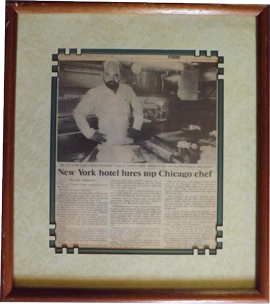 "New York hotel lures top Chicago chef " - "Chef John Terczak is leaving Gordon and Lexander to open an 'American-Cuisine' restaurant in New York." 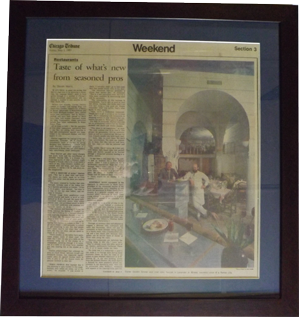 "The grill concept was crafted to fit the cooking style of John Terczak, one of the new breed of American Chefs." 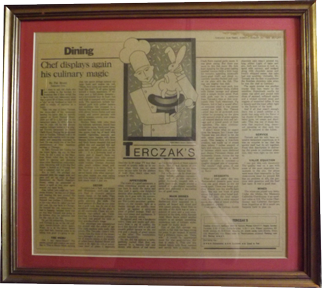 "Chef Terczak presides over a very visible wood-burning open grill and commands a crew of no fewer than thirty-three cooks." 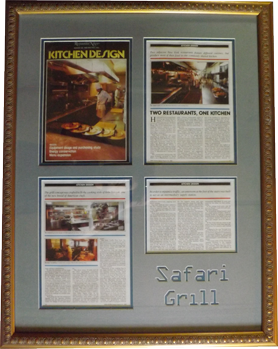 - "Safari Grill, a better restaurant of its trendy, often-misconceived, California-oriented genre..."
Food - The Denver Post - "Going Tapas"
"A Spanish Delight Catches On In US" - "Chef John Terczak displays a platter of grilled quail with green peppercorn vinaigrette and roasted sweet red peppers." 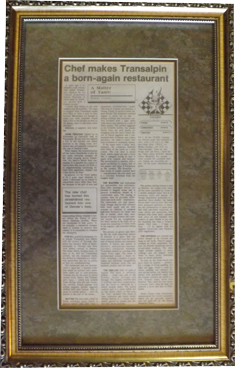 "Chef Makes Transalpine a Born-Again Restaurant"
"The new chef (John Terczak) has turned this streamlined restaurant into one of Denver's best." 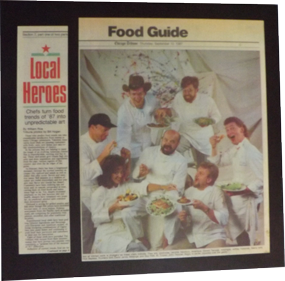 "Local Heroes - Chefs turn food trends of '87 into unpredictable art." 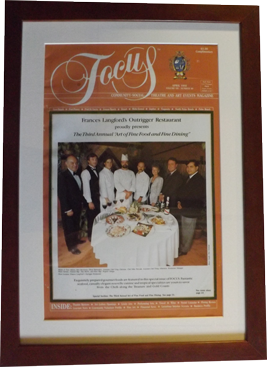 The Third Annual 'Art of Fine Food and Fine Dining'" -"Exquisitely prepared gourmet foods are featured in this special issue of Focus. 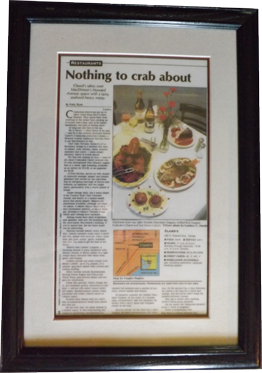 Fantastic seafood, casually elegant nouvelle cuisine and tropical specialties are yours to savor from the chefs along the treasure and gold coasts." 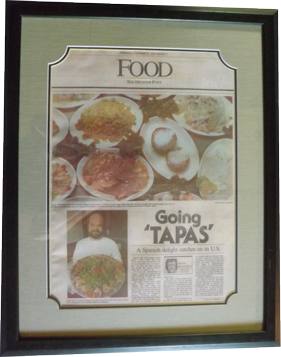 "Terczak excels in joyful tribute to American food." 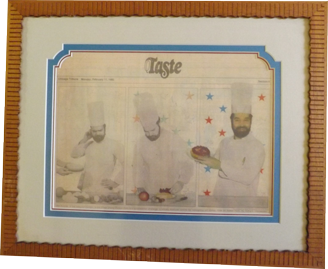 "Chef displays again his culinary magic." 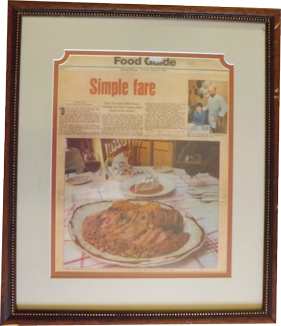 Food Guide - Chicago Tribune - "Simple Fare"
"John Terczak comes home, cooking up what's being called 'haute mom cuisine.'" 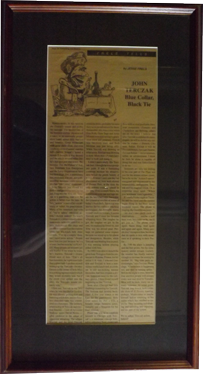 "Three Top Specialty Restaurants - Chicago - Terczak's"
"John Terczak - Blue Collar, Black Tie" - "I believe that after Terczak establishes his mini-empire, he will re-define any cuisine he wishes." 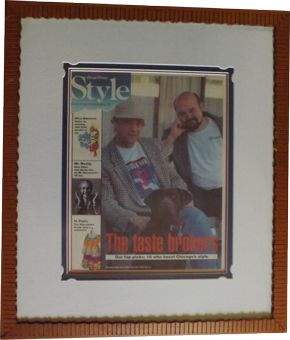 "The Taste Brokers - Our Top Pick: 10 Who Boost Chicago's Style"- "Dennis (left) and John Terczak with Bosco." 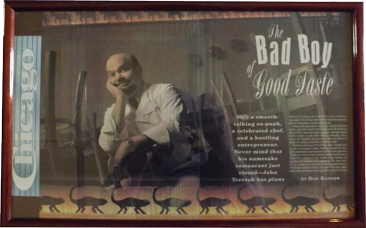 Chicago Magazine - "The Bad Boy of Good Taste"
"He's a smooth talking ex-punk, a celebrated chef and a hustling entrepreneur ... John Terczak has plans." "Chef-Owner John Terczak is happy with Ketchup's kicky design, but insists the focus is firmly on the food." 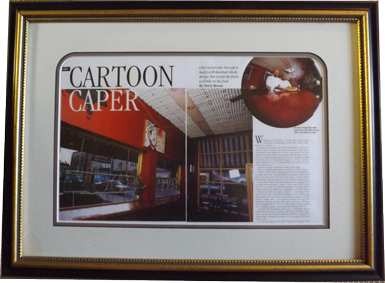 - "Ketchup's design has comic appeal, but, says John Terczak, the food is no joke." 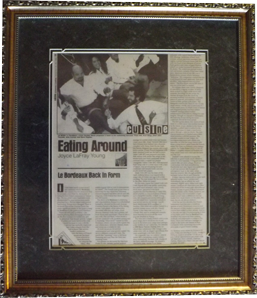 Cuisine - Creative Loafing - "Eating Around"
"Le Bordeux Back In Form" - "Le Boss: Le Bordeaux owner Gordon Davis proposed a toast to his swimming success, from left, Kevin Sirgo, Chef John Terczak, Amy Losoya and David Kaplan." 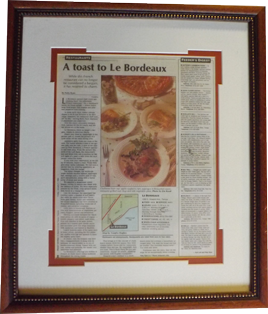 "A Toast to Le Bordeaux"
Restaurants - Tampa Tribune - "Nothing To Crab About"
"Clawd's takes over Macdinton's Howard Avenue space with a tasty, seafood-heavy menu." 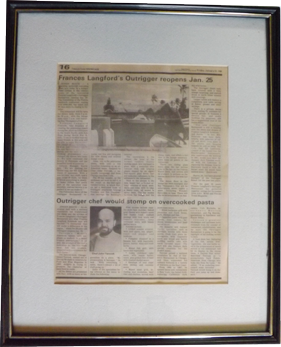 - "John Terczak - Chef"
"Outrigger chef would stomp on overcooked pasta." 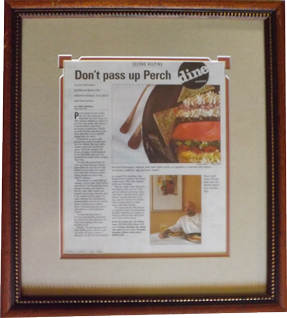 Second Helping - Dine - Reviews - St. Petersburg Times - "Don't Pass Up Perch"
"A new chef mixes farmhouse flavor with refined technique, less glitter and lower prices." 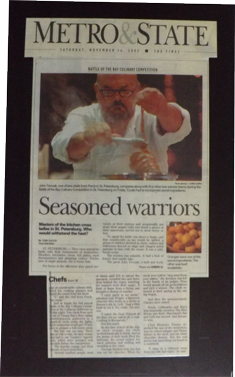 Metro & State - St. Petersburg Times - "Battle of the bay culinary competition seasoned warriors"
"Masters of the kitchen cross ladles in St. Petersburg - who would withstand the heat." - "Terczak finished first."